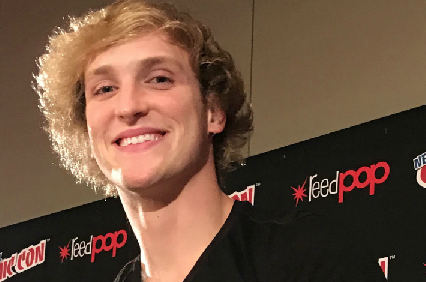 Los Angeles-based sales company Spotlight Pictures has launched worldwide sales in Toronto on adult comedy Airplane Modestarring YouTuber superstar Logan Paul and a slew of social media celebrities. Paul wrote the screenplay to the film, which follows on the man himself as he travels to the world’s biggest social media convention and must overcome his fear of flying, defeat a Russian psychopath on the loose, and help his foreign exchange friend lose his virginity. The roster of social media names includes Chloe Bridges, Amanda Cerny, King Bach, Lele Pons, Nick Bateman, Roman Atwood, Casey Neistat, and Brittany Furlan. David Dinetz and Dylan Trussell directed. Andrew Alter and Jeffrey Levin produce, and Ron Burkle, who was part of a consortium that tried to buy The Weinstein Company, is an executive producer alongside Jonathan Ornstein and Jessica Ornstein serve as executive producers. “We set out to create a cult comedy that captures the social media generation and pushes all the traditional Hollywood boundaries,” said Jessica Ornstein. McCombs negotiated the deal in behalf of Spotlight Pictures with Jonathan Ornstein.